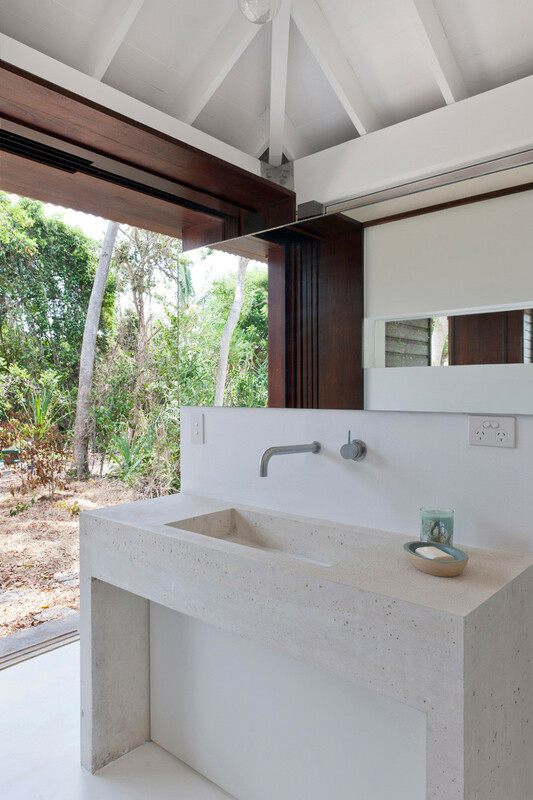 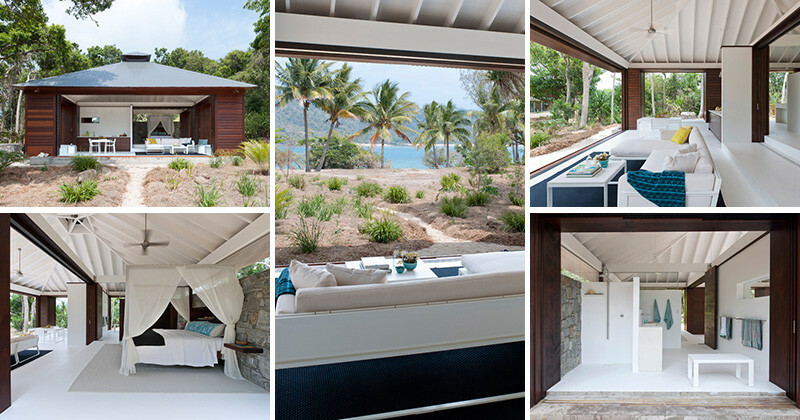 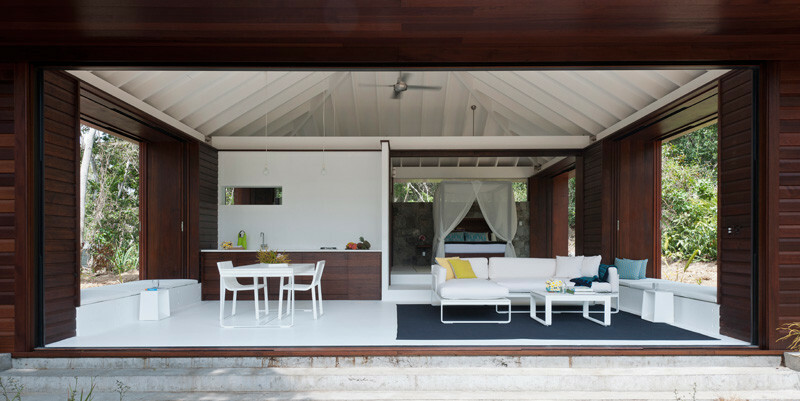 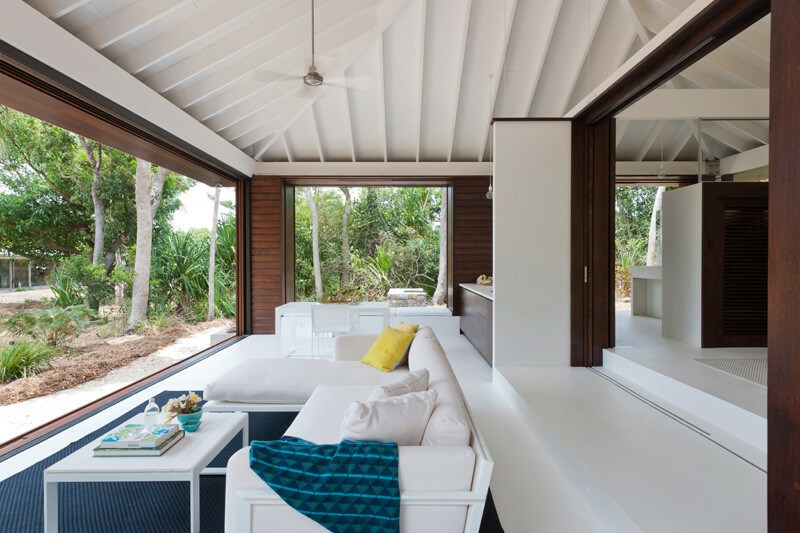 Renato D’Ettorre Architects have designed a small one bedroom beach house, located on a remote island in Far North Queensland, Australia. 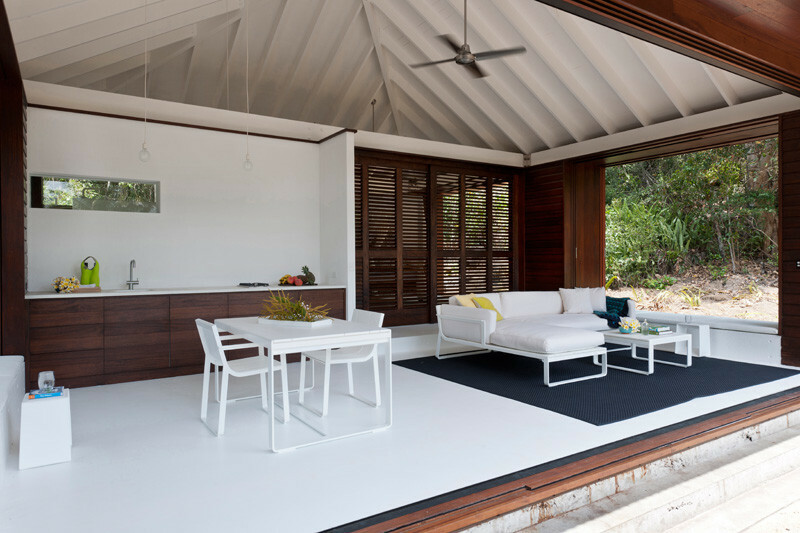 The home is just 100 square meters (about 1100 square feet), and includes a living area, dining area, kitchen, one bedroom and bathroom. 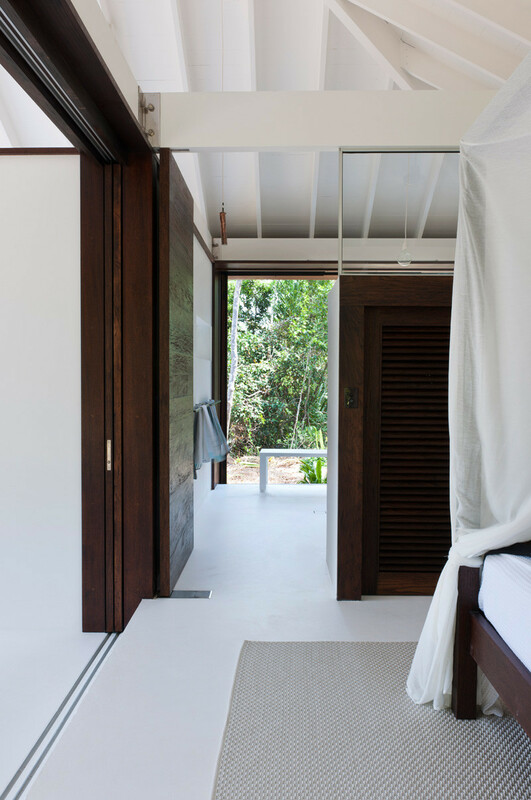 Due to the warm temperatures in the area, the home completely opens up, allowing for the breeze to flow through the home. 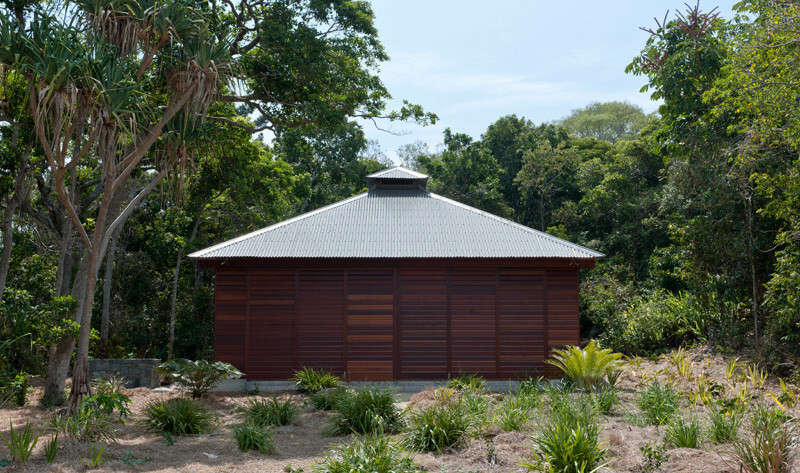 The rooftop has been designed in an almost lantern-like shape, which helps with outward circulation of hot air, and ventilation when the home is closed up for protection against the elements. 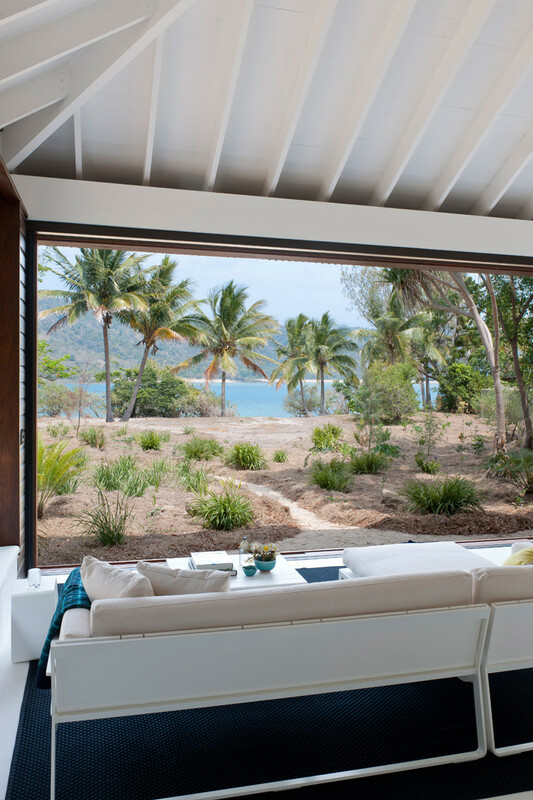 Just a glimpse of the view from the living area. 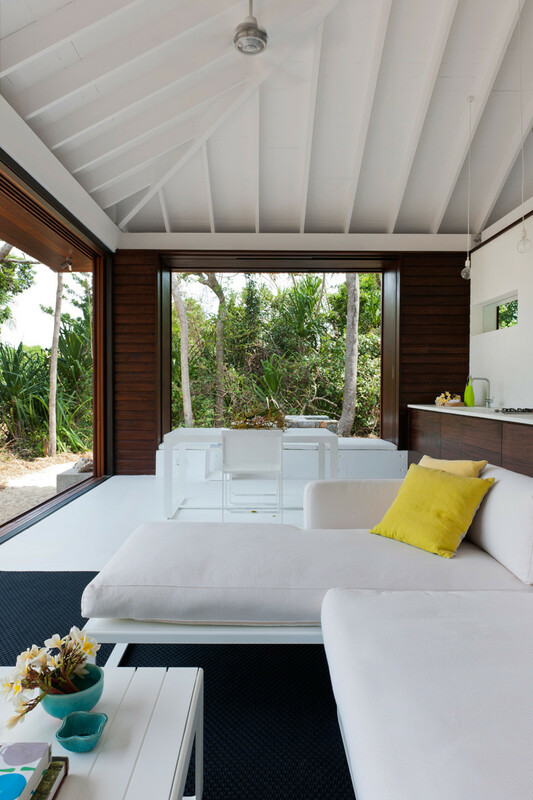 The interiors are mostly white and wood, with pops of yellow and blue. 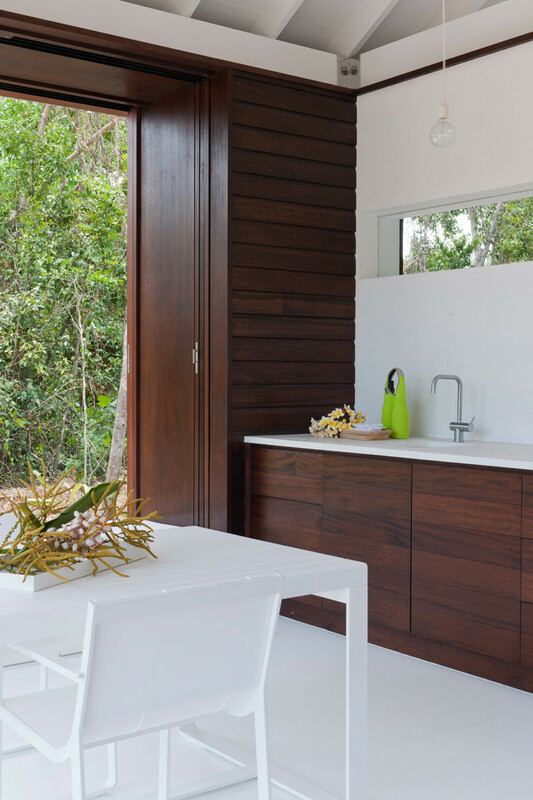 The kitchen, simple in its design, features the same wood as the rest of the home. 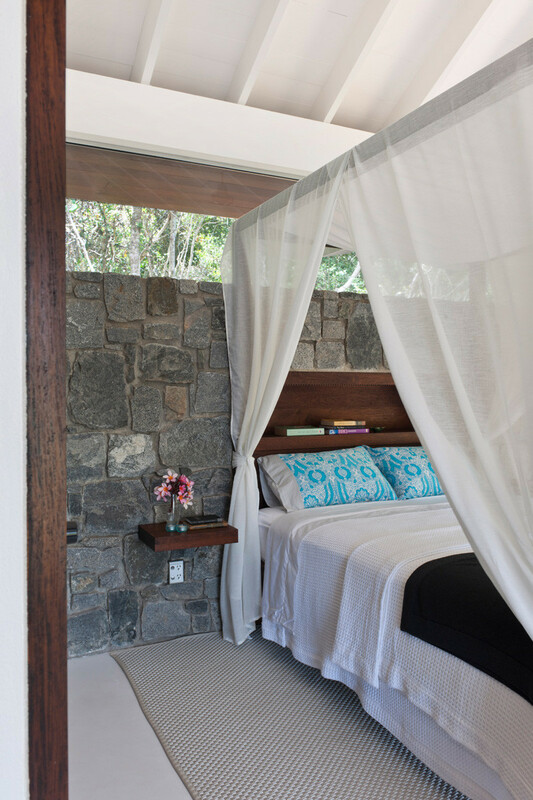 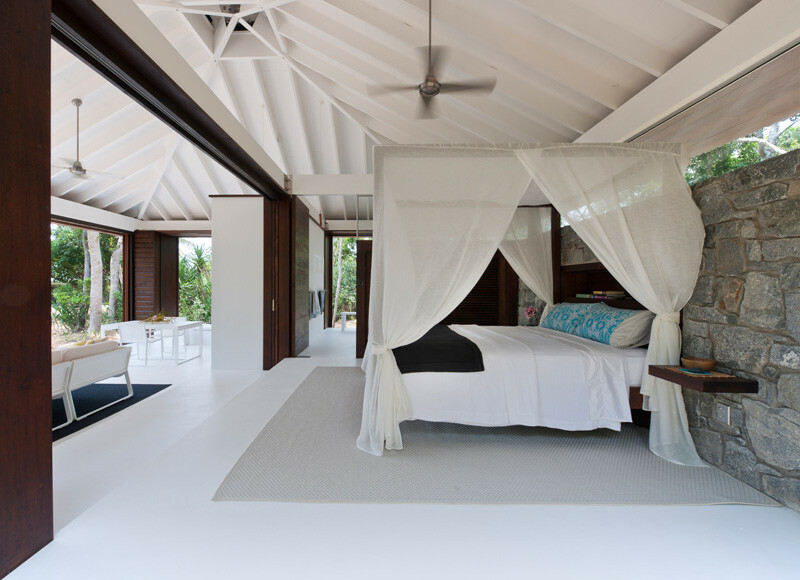 The positioning of the bedroom lets you lie in bed and enjoy the view. 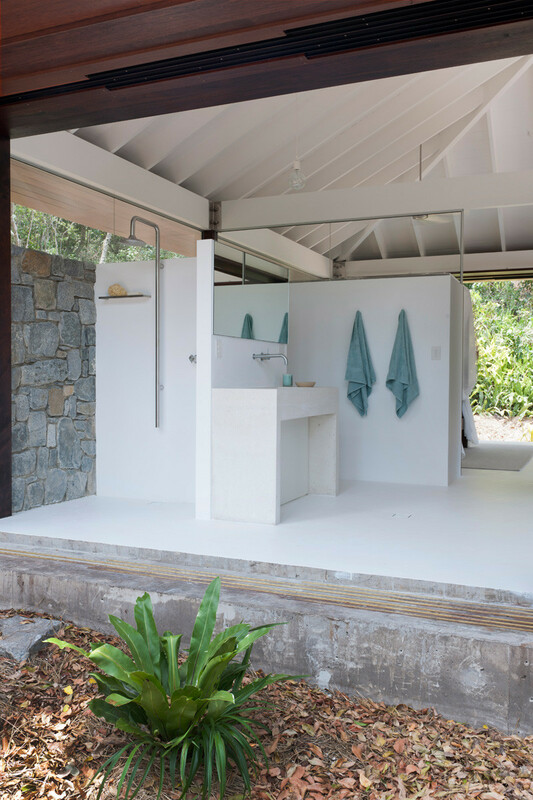 The bathroom is located behind the kitchen, and just off to the side of the bedroom. 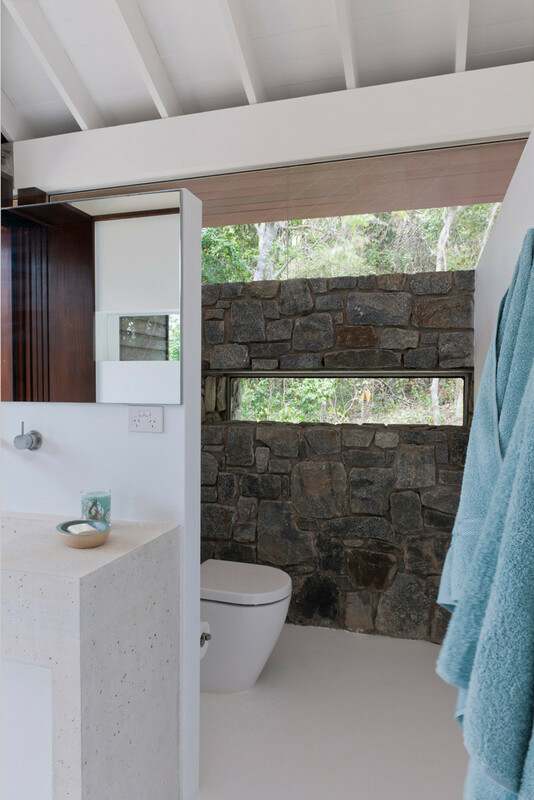 In the bathroom, the toilet which is closed off from the elements, receives lots of natural light from the windows. 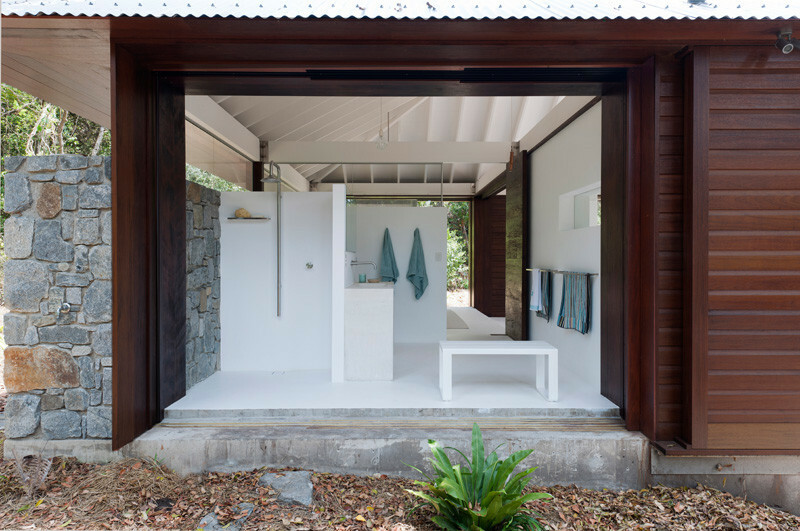 The rest of the bathroom is open to the outdoors. 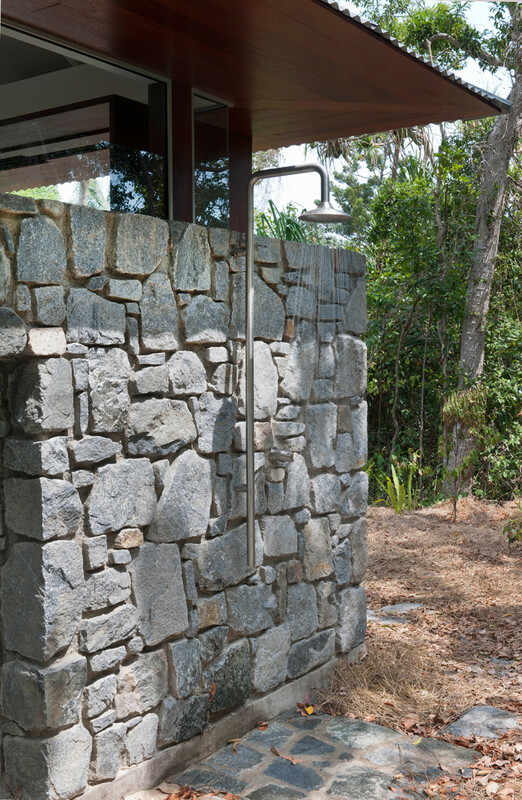 An outdoor shower is ideal for rinsing off after ocean swimming. 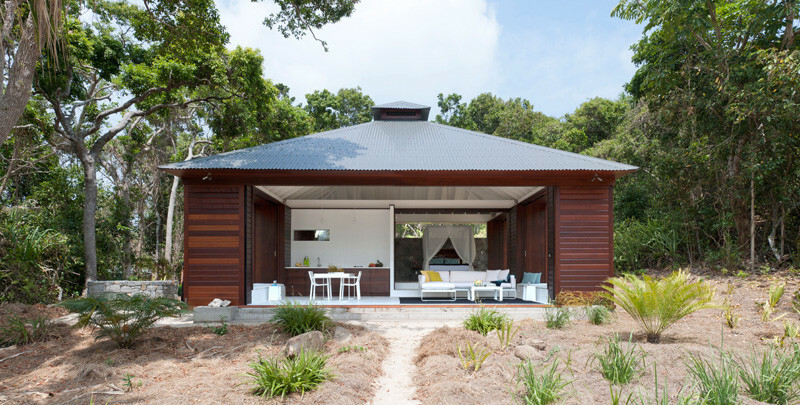 This is what the home looks like when it is closed up.